July | 2011 | Where in the World Are Our Kids? One of the fabulous things about living in Nashville is how many awesome things there are to do for free, if you keep yourself aware of what’s going on. Case in point: The Star Trek Convention at Opryland Hotel. Located less than 5 miles from our house, Opryland features a wealth of people-watching opportunities on any ordinary day. Hundreds of people from around the country gathered to celebrate science fiction’s finest: Star Trek. Having accidentally gone to a Star Trek movie opening night back in 1996, we have come to realize a true Trekkie has a passion for not only knowledge of the series, but of costuming as well. While we are not Trekkies or even Trekkers (Did you know the difference? Neither did I, until Ken explained it to me this afternoon. ), Ken has seen every Star Trek episode of every series. I, on the other hand, have probably seen all of the original series, most of Next Generation, and well, it really trails off after that. What we do really appreciate is the enthusiasm of Star Trek fans, who celebrate a subculture that is rich in characters, scientific theory, and imagination. Plus their costumes are pretty cool. After a tip from an employee, we made our way to Opryland Hotel, and found free parking, but paid ample compensation for its use in the hefty walk that we had to embark on to get there. 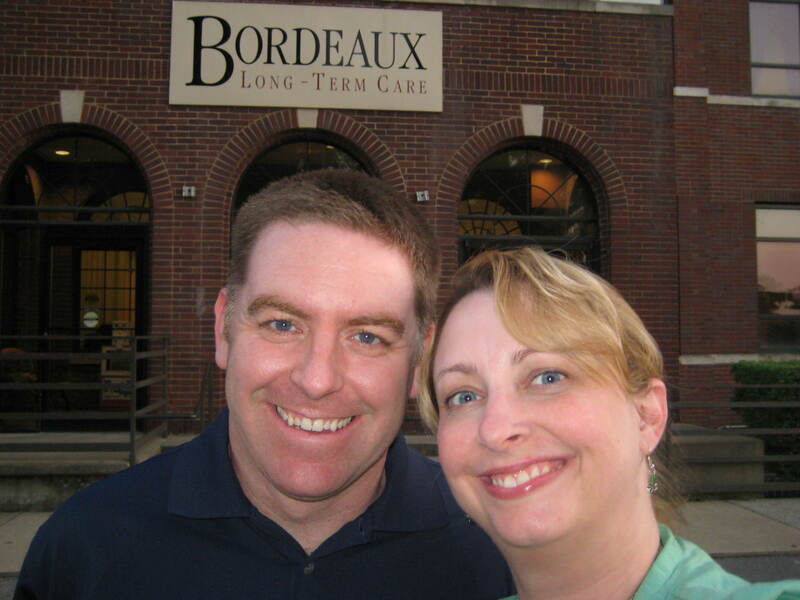 We had no idea where we were going to, until said employee tipped us off to which ballroom we were looking for. With determination on our faces, and curiosity in our hearts, we walked through at least three other conventions with purpose, so as not to be suspected as intruders. Finally, we made it to the mothership: a lobby lined with booths filled with Star Trek merchandise, and costumed adults and children wandering around with pride. We have no idea if we were allowed in, but seeing no signs posted otherwise, we walked in. We soon found a booth selling ID tags from every nerdy drama series on television from 24 to Big Bang theory to NCIS. And of course Star Trek. We purchased two tags to identify our own inner nerdhood. Ken chose an ID tag from the USS Enterprise, and me, from the Dharma Initiative. Oh yes. They supported all forms of science fiction. Once we had our tags and made it around the booths, we began to feel more comfortable and started to take pictures. One thing that we immediately noticed . . . okay, that Ken immediately noticed. . . was that FANS were dressed in costumes, where STARS were dressed in street clothes. Ken attempted to get his picture with some guy who played a mythical creature from Deep Space Nine, but instead ended up with a costumed guy who HAD just taken his picture with said mythical creature. Then I saw a gathering of ladies from various generations of Trekking, and I had to take pictures. Then I asked if I could join for a photo. Ken took a picture, and then I noticed that there were close to a dozen other people who had gathered and were taking pictures of me with them as well. I was totally confused. Why would they want my picture? Until Ken pointed out to me that STARS were in street clothes. My apparel, combined with my non-matching name tag had apparently pegged me as a Star Trek STAR! Oh no, I thought, if they ask me a single question about Star Trek, I’ll fold. I can’t maintain the fan facade if they question me or ask for an autograph! I became desperately aloof. Ken started an engaging conversation with the agent who represents all Star Trek Captains, and I wandered off, praying that no one would ask me anything, even though I was apparently famous. Soon, the crowd thinned out as William Shatner began his apparently hilarious keynote address. We too, went our own separate (and free) way to the remainder of the hotel. Though the photo ops were now gone, we had just had a great Star-Date. My absolute earliest memory of church is sleeping on my mom’s lap during a choir performance. Apparently, I had been dressed up like a little lamb. The song the choir was singing was based on the parable of the shepherd leaving the ninety-nine to find the one lost sheep (Luke 15). The shepherd wandered up and down the aisles of that school auditorium (the Saint John First Wesleyan Church was still under construction) until he “discovered” me. It’s safe to say I was adorable. As a Christian, I freely admit that I have been that lost sheep. I have wandered far from the safety of the fold. I have been lost and afraid in dark and dangerous places and wondered if I would ever find my way back home. Because Jesus has rescued me and called me His own, I now feel compelled to share His love. I want to be part of His mission. I want to be a shepherd as well. I want to reach out with God’s love and change my world. The words of James, the brother of Jesus, ring in my ears, “Do not merely listen to the word, and so deceive yourselves. Do what it says.” (James 1:22) It’s not enough for me to SAY that I want to help other people. I actually want to make a lasting difference. Not for my sake, but for God’s glory. This summer I watched and prayed for a number of college students from our church as they set out to share God’s love in Europe. I am so proud of them for the boldness and compassion they displayed. Another group, also from our church, prepares even now for next summer and their trip to Kenya. Again, I pray and support them whole-heartedly. They are going to Africa to partner with what God is doing there through World’s Servants. Lord willing, some time this winter Robin and I will set out on our own very unique mission trip. We want to be like Jesus and go to where the hurting and hunger is great. We are convinced that if Jesus were walking the earth today, He would go and do whatever He could to help end the suffering. People have asked me if it’s safe for us to travel to the Democratic Republic of Congo. I respond, “No! It’s not. That’s why we are going. Our children are there and we want to bring them home.” I wish that it were safe or easy or cheap. But it is none of those things. Yes, there have been stumbles and setbacks along the way. Frustrations and tears. Yet none of those things release us from what we believe God is calling us to do. We believe God is calling us to leave the comfort and safety of our middle class suburban lives: to join with Him. And to rescue two children who need a permanent roof over their heads, food on the table, clothes on their back, and perhaps most of all a mother and a father who will tuck them in bed at night and tell them about the Good Shepherd who loves them more than they can ever imagine. What an inspiring verse! God is personally looking out for me! Really, when looking to have someone to work toward your good, God should definitely be at the top of the list. And of course I would let God know what exactly was best for me, and I was happy when He would give it to me. Except that wasn’t very often. And over the years, it began to irritate me. It seemed like God wasn’t listening to me, or even to my friends and loved ones. I had an extended illness and was laid off at work. A friend lost his infant daughter and was paralyzed in an accident not long after. A boy in our dorm was killed in a car collision as he was moving in for the semester. A friend lost a long battle with a chronic illness when he was much too young. God? How are these things for the best? Even now, I tell myself that just because we lost our referral, just because there were no twins to adopt, just because adoption through foster care was not what we thought it would be — it’s all because God has other children waiting somewhere else to complete our family. But what if there aren’t? So I have to ask myself: What if He doesn’t have children for us to adopt? What if this entire process is not about adopting children but about me learning to trust Him with our future family? Truthfully, I am realizing that the point of our adoption journey is not merely the children who will complete our family. The point of our adoption journey is every bit as much about what God is doing in my heart along the way. Maybe even what He is doing in your heart as you walk beside us. Do I believe and hope that there are children at the end of our adoption journey? Absolutely. But even if there are no children at the end of the road, a God-directed journey is still worth every step along the way. Last night, Ken and I had the opportunity to spend some time volunteering at a nursing home on the other side of town. It was a unique opportunity to play bingo alongside some of the disabled and elderly residents who live there. Ken and I were responsible for different tables of residents, so of course we had to make it a competition to see whose table could win the most. He won. I had the chance to play alongside some really wonderful people. One was actually a familiar friend I know from volunteer work I do at Mercury Courts, a housing development just down the road from Trevecca. I couldn’t believe he was there — and he told me he had just arrived that very day. It was a pleasant surprise for both of us. Another lovely lady, “Shorty” went to high school with my Mercury Court friend, so they had a nice reunion at our table. Another gentleman at my table could make a joke or a rhyme out of anything. His body may have been failing him, but his mind was sharp as a tack. We laughed together, hard. The lady I spent the most time with was Ms. Grateful. After every Bingo number called, she would shout out, “Thank you,” whether she had the number or not. I would help her watch for the correct numbers, and as I helped her identify them, she thanked me too. The social director told me that she was the most grateful resident they had. Ms. Grateful couldn’t say much else — not that I could understand anyway. Her body was confined to a wheelchair, her gnarled hands had trouble moving the bingo chips, saliva gently dripped down her chin. Her stained shirt was a visible reminder that even basic tasks were a challenge to her. But she was the most grateful resident that they had. She had a roof over her head, a place to sleep, food to eat. And she had a friend to play Bingo with, and even someone to call the numbers. She even won. Twice. Isn’t that enough to be grateful for? Sometimes we make gratitude too complicated, withholding a thankful heart until something “big” comes along, when all along there are little blessings sitting all around us just waiting to be acknowledged and appreciated. Ms. Grateful’s simple approach was this: Rather than looking at the things she didn’t have, she was thankful for everything she did have, right down to the Bingo caller at the front of the room. When I took Ms. Grateful back to her floor, I thanked her for showing me a wonderful time as I touched her arm gently, and said good-bye to her now tearful face. She took my hand in both of hers, and softly kissed it. “Thank you,” she said one last time. No, thank you, Ms. Grateful. Truthfully, I am the one who won. We received an email tonight from our adoption agency. The 3 year old girl and 6 year old boy we were hoping to adopt have been claimed by another family member who wants to try to raise them there in the Democratic Republic of Congo. Although we’ve not spoken much of them specifically, we really did hope that those were the two children we were to adopt. We’re happy that they were reunited with family — we were just hoping that family would be ours. So where does this leave us? Our agency will begin looking for a new referral for us. We still believe that we should adopt more than one child, and our hope is to keep siblings from being split up. Typically, there is no wait for a referral for children over 3 in the Democratic Republic of Congo, so we are hopeful that we will be matched again very soon. Our overall timeline will likely not even change. But we must face the fact that it is another loss in what seems to be a pretty long string of losses this year. Adoption is harder than it looks. The cloak is feeling a little scratchy tonight. I had lunch with a dear friend today, and as we chatted, one of the topics that came up was the return to new normalcy after an intense time of grief, which both of us have experienced in the past few months. To be a joyful person enshrouded by grief is difficult. The cloak of grief placed unwillingly on a happy heart is a difficult and unwelcome experience. The laughter that once was freely flowing seems to offend the garment, to betray that which was lost, to deny the devastation of the heart. Yet, the garment of grief doesn’t fit right – binding in some areas, saggy in others, always dragging the ground. The burlaped texture of gristly grief chafes my already thin skin. The overwhelming weight is wearisome. There have been times that I have thought that I was becoming accustomed the shroud, only to realize that its presence was clearly felt on my shoulders again. Getting a new bill in the mail for the adoption that never existed. Being asked by a friend unacquainted with our situation, “How are the twins?” Finding tiny baby items that I tucked away for the future — a future that will never come. But I do not have a choice of apparel. The cloak must be worn dutifully, and eventually, worn submissively. Over time, I have found that the misshapen shroud of grief has transformed. I’ve tucked it in on one side, tied it on the other to better fit my soul. The once-abrasive fibers have softened. My skin has thickened as well. The heaviness is still present, but rather than being oppressive, if I consider it, it is now feels much more like warmth. Could it be that the shroud of grief has become a cloak of God’s consolation? Could it be that the garment that I once resisted is the very means of grace by which God has chosen to demonstrate the closeness of His comfort? It may not be that the cloak itself has been transformed nearly as much as the cloak has transformed me. Now laughter does not betray comfort. Joy does not deny the embrace of the Almighty. Smiles are an expression of love, not a betrayal of such. Though my life has been forever changed by the donning of the cloak, I’ve come to realize that it is not an instrument of hardship as much as it is a demonstration of love. Along our adoption journey, we have been asked many questions about our process and about where we are going to go get our children. The Democratic Republic of Congo has just recently opened to international adoption, and in fact, up until May of this year, parents were urged not to go there to get their children, but to have them escorted back to the United States because of safety concerns. Is traveling to the Democratic Republic of Congo dangerous? Absolutely. And that’s exactly why we must go. Orphans whom we were called to adopt are there, and it’s an even more dangerous place for them. The truth is, our adoption journey has not been a safe one even thus far. We have been hurt. We have been robbed. We have been shamed. But we have not lost sight of the fact that every step of our adoption journey has been ordained by God. “[God] is good. He is good even when he calls you and me to places that are dirty and disease ridden. He is good even when we end up possibly sharing in the diseases of the people we go to serve.” The diseases aren’t just AIDS or malaria or hepatitis. The diseases of some along our adoption journey have been lying, deceit, incompetence, and fraud. But that does not mean that the calling was a mistake, that our actions were in error, or that God allowed us to go down a wrong path. If we only attempt to do what is possible on our own, are we really following anyone but ourselves? True followers of Christ attempt to do things that would be impossible without God. And that’s what He has called us to do. We are to go into dangerous places in the world and seek out waiting orphans who have seen many other children leave the orphanage, wondering when it will be their turn, questioning if they will ever be chosen to be a part of a forever family. We are adopting children from a different race, language, and culture. This too is dangerous, and we know the risks of developmental difficulties, trouble with bonding, and lack of societal acceptance. We don’t know how we will pay the costs of the adoption. $28,000 is a lot of money to raise in 6 months, and as much as we plan, it will be impossible without Divine intervention. Adopting two orphans half way around the world is financially dangerous. But our security is not in our physical safety. Neither is it in our bank accounts, jobs, or material possessions. Our security is not in what others think of us, or even in a culturally accepted family structure. God has called us to dangerous places, and that’s exactly where our greatest safety is found. Meet our first “son,” Shimwamana Emmanuel. He’s 10 years old, and lives in Rwanda. 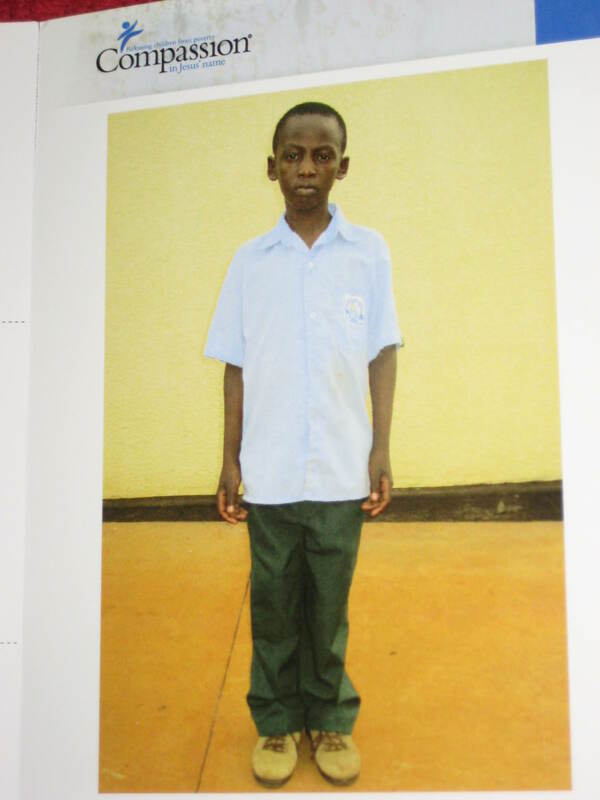 We’ve sponsored Shimwamana through Compassion for almost two years now, and have had his picture posted on our refrigerator, where we are reminded to pray for him daily. Today, we were excited to receive a brand new picture of him. Clearly he’s grown, and the baby-faced little boy is now becoming a young man. We’ve enjoyed exchanging letters with Shimwamana, and knowing that he is being nurtured physically, mentally, and spiritually. I can’t wait for his younger brother and sister to meet him someday. What does $38 a month in the life of a child do? Does and investment of a little over a dollar a day make a difference? I had always wondered, until I watched this video. I know the video is a bit long, but please don’t just skip over it. I promise it’s worth the investment of time. If you are like me, your life will never be the same. A word of caution: have some tissues available. This is what sponsoring a child can do: forever change the course of a child’s life, break the cycle of poverty, and make a difference for eternity. Not everyone is called to adopt as we are, but I do believe that everyone is called to the cause of the fatherless. Our Pastor asked us several years ago to consider the question, “What are you willing to give up so that an orphan might live?” That question, coupled with this video, profoundly changed our lives. We believe it has profoundly changed Shimwamana’s life. And we hope to change the lives of two more children soon! Thank you for being part of our journey!